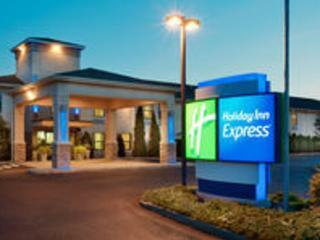 Since the Holiday Inn Express® Hotel Vernon - Manchester is located in the charming New England region, our Vernon hotel's guests are close to major cities like Hartford, Connecticut and Springfield, Massachusetts, so you can experience the area's best attractions with ease. While visiting, be sure to take the time to explore the famous Mark Twain House & Museum, or set aside an afternoon to visit the interactive, hands-on Connecticut Science Center. If you're in the mood to go shopping, check out Evergreen Walk in South Windsor, CT or The Shoppes at Buckland Hills in Manchester, CT. Our hotel's also a short drive from the University of Connecticut (UConn), as well as Rentschler Field. We provide free high-speed, wireless, Internet access throughout our accommodations. Our Vernon - Manchester, CT hotel's guests can stop by the complimentary, hot Express Start Breakfast Bar before heading out for the day.